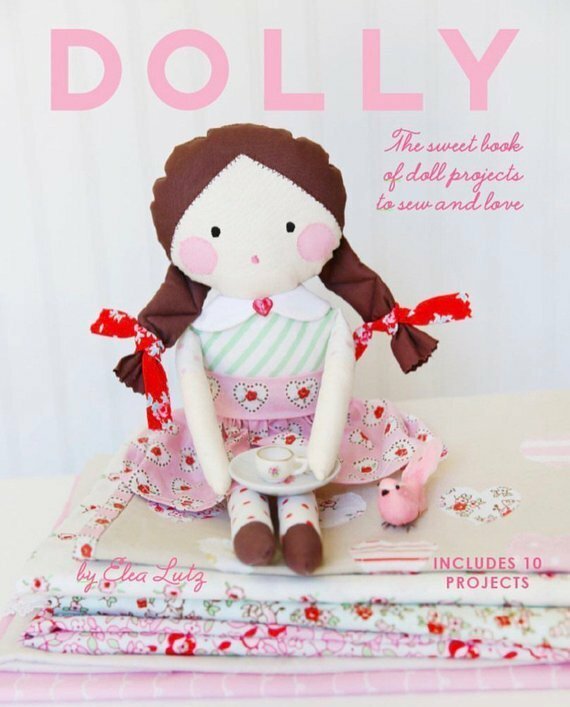 Project featured in the Dolly book by Elea Lutz. Includes the book and all the fabric to make one custom rag doll. Kit also includes heart shaped button and "falsies" fusible eyelashes.